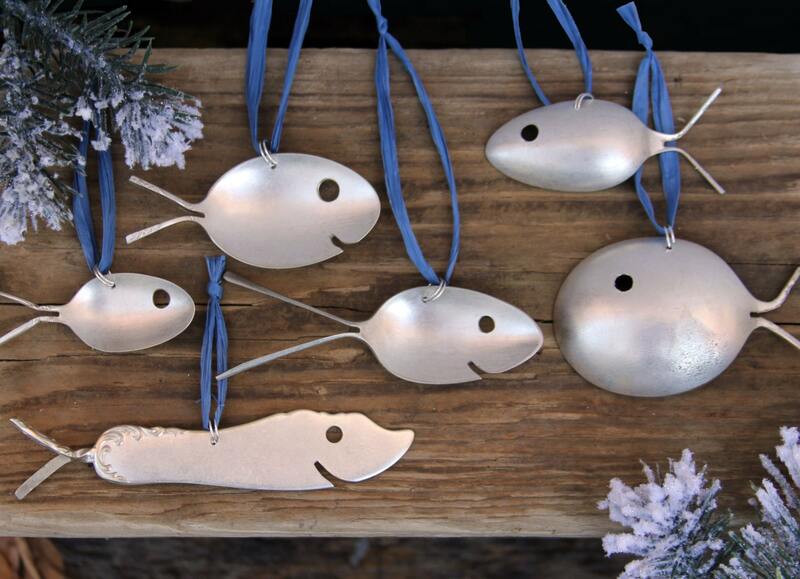 School of Six Silver Spoon Fish Ornaments Swim delightfully for everyone to see. 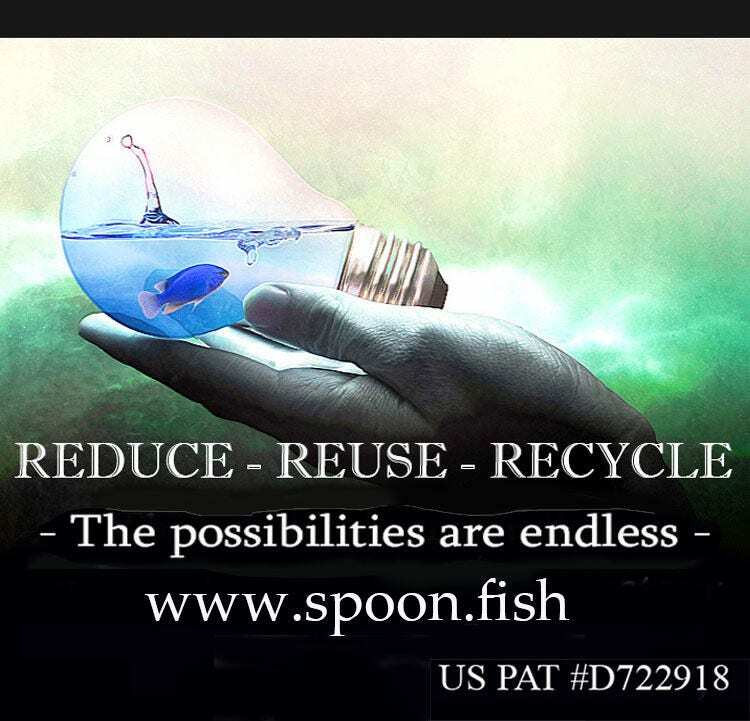 These darling little fish are up cycled from vintage & antique silver-plated flatware. 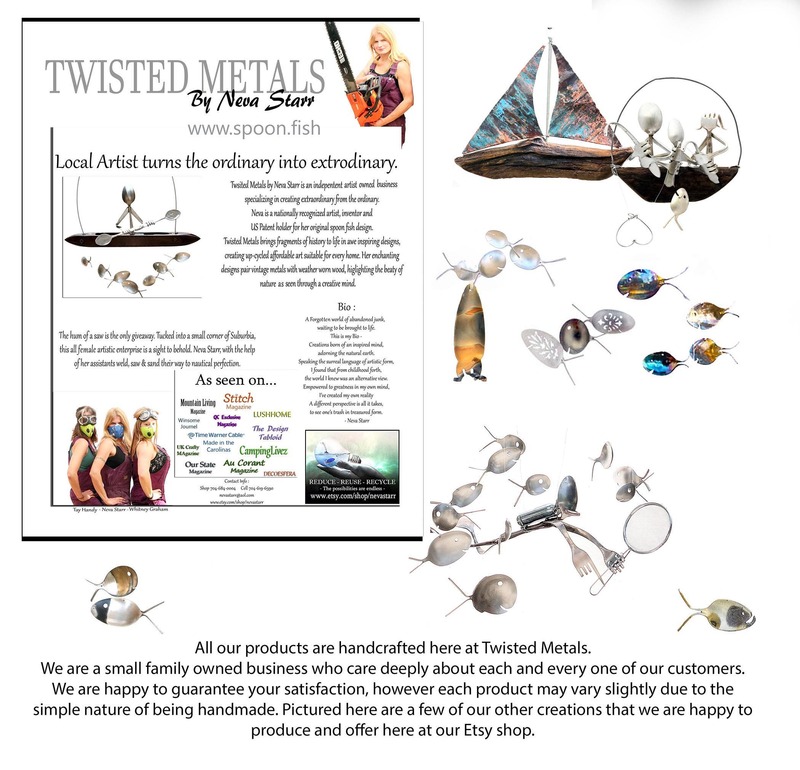 These Nautical Novelties also make perfect Stocking Stuffers. 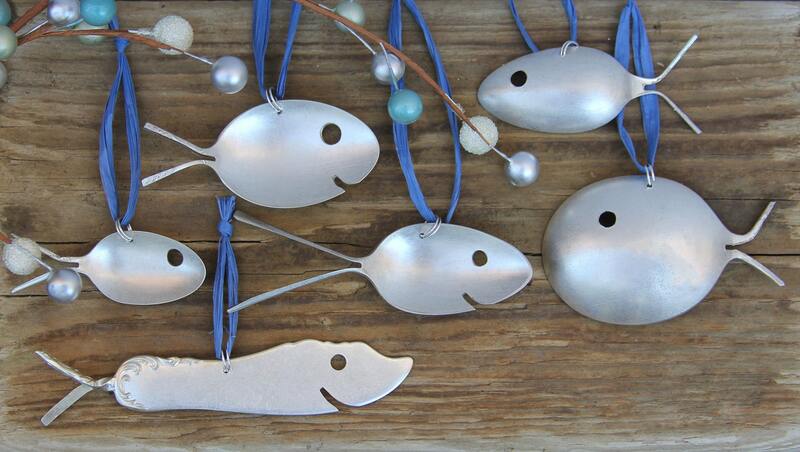 Each fish has a personality all its own, equally charming as the ones pictured above. 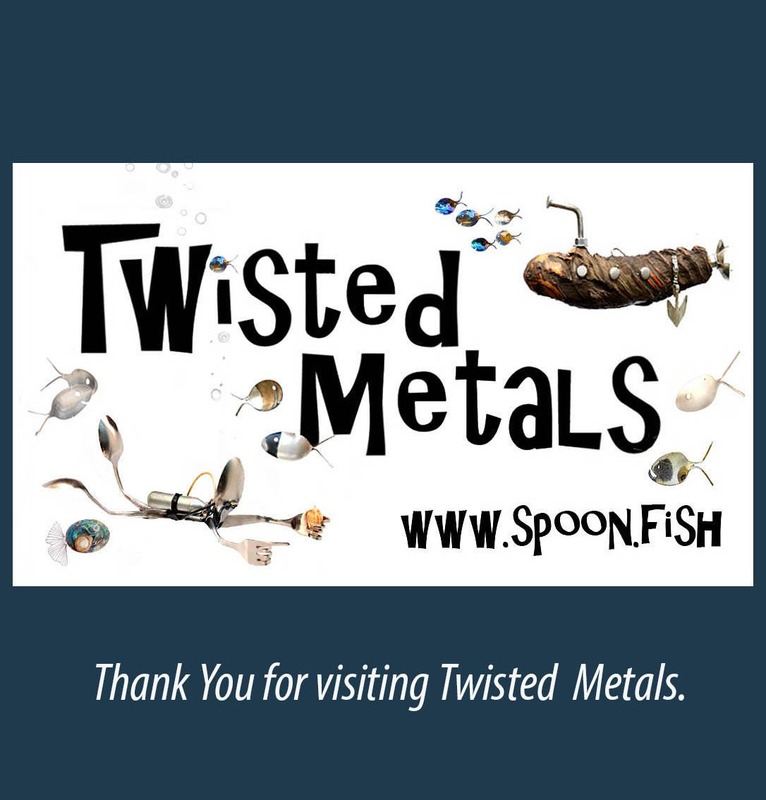 Each set will contain at least one silver plated shark unless otherwise requested. 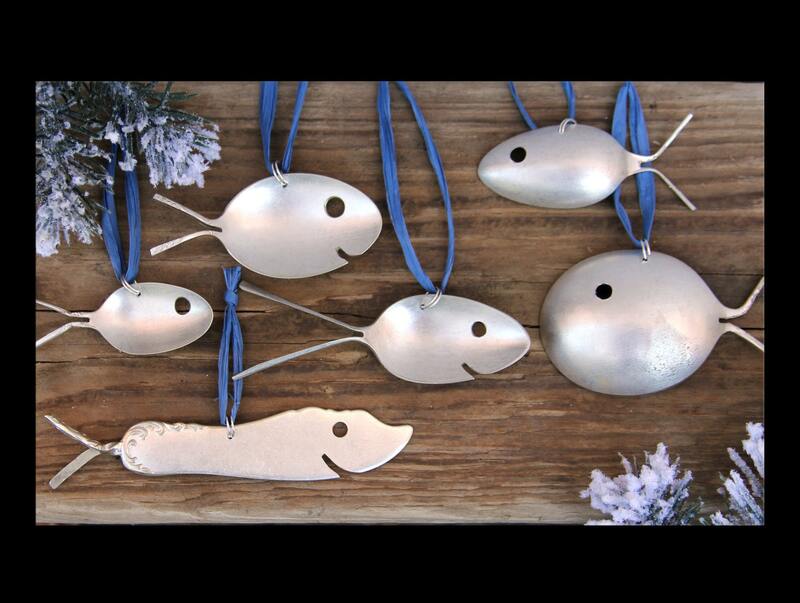 Ornaments range in size from 2-5in. Come strung upon vibrant ribbon.